This guest post is written by Lisa Stanislawczyk, a Veterinary Scientist at a pharmaceutical company. She plays a key role in ensuring the standards of animal care are always improving at her institution. Having been introduced to Speaking of Research through a committee member, Lisa kindly agreed to share her experiences. In this post, Lisa explains her passion for innovation in the field of animal welfare and her experiences, positive and negative, in delivering animal care at numerous institutions in the US. If you would like to write for Speaking of Research please contact us here. 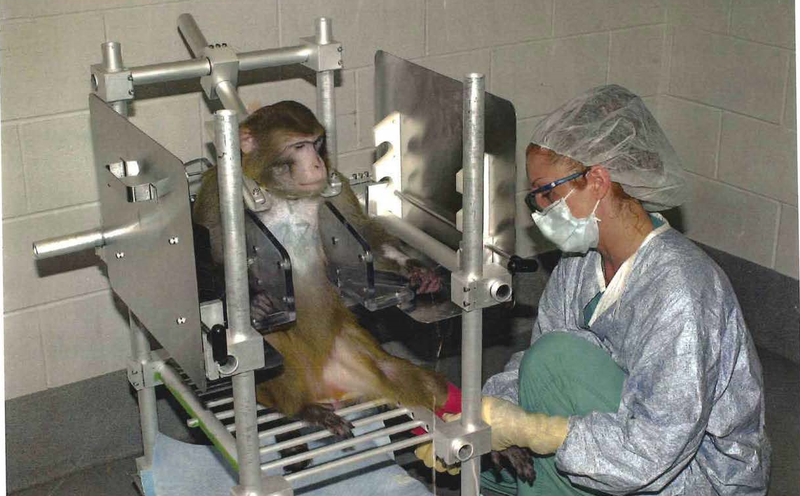 When I started out after college working as an animal care technician at a contract research organization (CRO), I never thought I would want to perform the procedures I saw being done to the animals. I didn’t want to make them uncomfortable or scared. I loved animals and had always wanted to be a vet (like so many others in the field of animal research). While working at the CRO I began to see the care and attention that the technicians took in performing these procedures and how careful they were to make the animals comfortable and at ease. I realized they too cared for the animals as much as I did and we all wanted nothing more than to take the best possible care of these animals. Later, after 15 years in the animal research field, I found myself looking for a new role. I was always proud of what I did and left work each day with a sense of accomplishment. However, I was finding it difficult to find work, a common problem for so many in the world we live in today. I realized that in order to stay in the field and get a good job I was going to have to move outside of my comfort zone, away from everything and everyone familiar. It was scary, but I moved to another part of the country, away from my family and all my friends, to pursue a new job. I was anxious and felt isolated. I came to the harsh realization that not everyone holds themselves or others to the same standards I had been taught, or was accustomed to. This realization almost made me stop doing the work that I had grown to enjoy and get a huge sense of accomplishment from. I didn’t quite know how to deal with what I perceived as poor animal welfare in my new job. This feeling was not from the technicians doing the work, they were doing the best they knew how with what they were taught. There just seemed to be a lack of knowledge of the regulations which one should have working in a vivarium. It was the management that needed to be held accountable. I spoke with the Chair of the Institutional Animal Care and Use Committee (IACUC) in order get a better understanding of what I felt was just not good research. After our conversation, I still felt there was a lack of accountability from the IACUC Committee. I was at a loss and felt drained and hopeless because there continued to be mistakes and mis-steps which could have been avoided. It took its toll. I found myself working long hours to make sure the studies I was to oversee were executed correctly and at the same time educating the personnel working with me. I was exhausted and overworked. So were my technicians. I began to become so emotional about some of the things I was seeing that I would spend what free time I had at home, crying myself to sleep. Just thinking about it now, makes my eyes water. We all began seeing things that we could not bear any longer and more people began to have concerns and fill out whistleblower forms. It was heartbreaking and I just didn’t feel like I could do it any longer. Then the day came, I was laid off. It was a blessing! Thankfully my negative experience is not common and the facility I worked at was taken over by another company. I have heard that they are still overworked (many of us can sympathize) but that things regarding the animals have definitely improved. 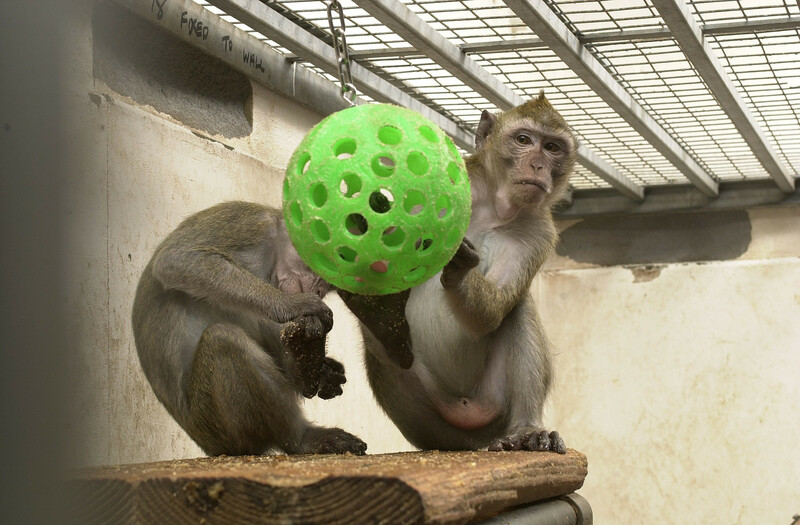 Image of macaques for illustrative purposes. I moved back to my family and friends. I needed the moral support from them. Still, I didn’t want to go back to it. I was burnt out. I worked at a home improvement contracting office fielding phone calls and organizing the office. It just wasn’t what I could see myself doing long term. I needed a challenge. I missed the animals. I held guilt for not doing more for them even though I still don’t know what more I could have done at the time. A previous boss of mine who happened to be a veterinarian reached out to me about a job. Again it was a big pharmaceutical company. I was skeptical but I needed to give it one last chance and it was only a temporary position. It was great to experience the investigators working with the animal care technicians to communicate how the animals did while on study and this empowered everyone to know exactly what was going on with each and every animal on a daily basis. The communication between all the investigators, technicians and veterinary staff truly improved the welfare of the animals. The veterinary staff really cared for the animals and the animal care technicians knew every animal’s quirks, likes, and dislikes. Everyone would make sure the animals that were on study got some extra favorites whether it be food enrichment, human contact, or toys. The people there renewed my faith. I could see the ethical behaviors and integrity of each and every person there. It gave me the desire to stay in the industry. This was what I was accustomed to. I felt like I had a “place” again. Once the temporary position was over, I moved to another company also working with the veterinary technical staff. There I was allowed to attend ILAM (Institute for Laboratory Animal Management). It is a 2 year program and the information, relationships, and contacts you come away with are immeasurable. I shared my story with others I met there (from all over the world) and I realized we all shared in the desire to deeply care for the animals. We go to work every day to make sure everyone does their best to take care of every need of all the animals in their charge. For some time, I have passively been in the industry, not really wanting to be a part of all the external committees and public outreach opportunities available. After attending ILAM, all that changed. Experiencing the love and desire to improve and do better within our industry and making connections and friendships with people with this common thread has re-ignited my passion for the industry. My company encourages people to innovate and strive for better animal welfare. I am so proud to be a part of a program that has refined techniques performed on multiple species to make it easier for both the animals and the technicians. This is how it should be. This is the industry we are in. Change is key. Once again I am so proud of what I do and the program I am a part of everyday. I flourish when someone asks me what I do, instead of talking vaguely so they won’t understand or want to hear more about it. I am happy to explain why what we do is so important and necessary. We make miracles happen and improve the lives of humans and animals every day! This is what we do for a living! This is why people and their pets are living longer, happier lives. This is the reason I am proud to be in animal research. I urge my fellow technicians to speak out, be proud, and get involved explaining what you do and why you do it!